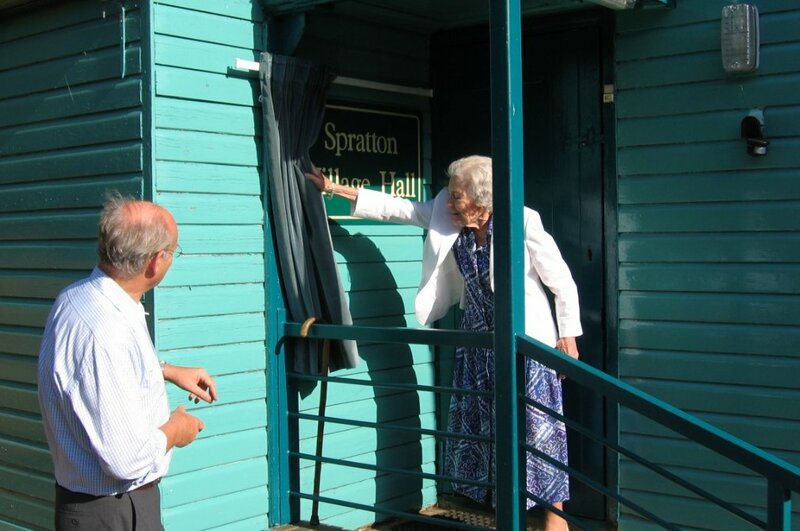 Sheila Bradshaw formally opened Spratton Village Hall. Sheila (middle) is with Adrian Baker (chairman of the Village Hall committee) and Tracey Coldwell. 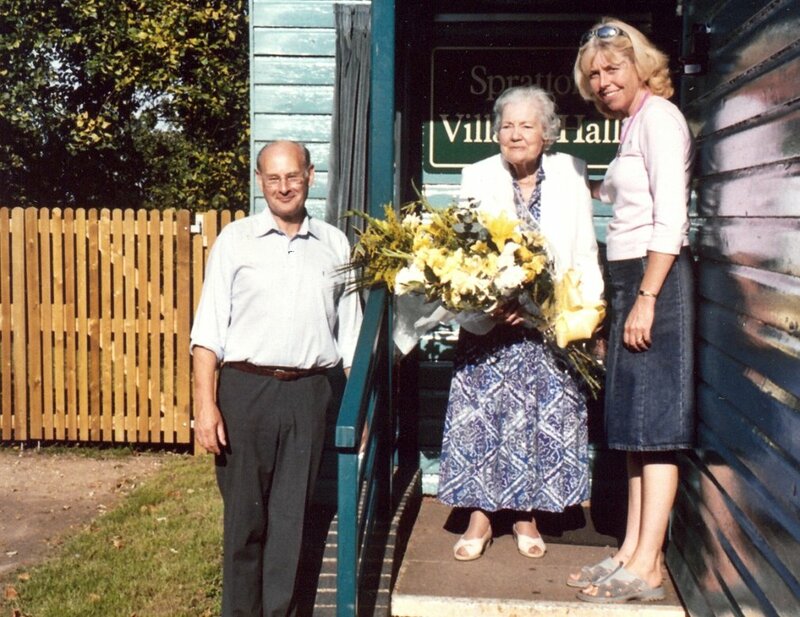 Sheila Bradshaw formally opened Spratton Village Hall. 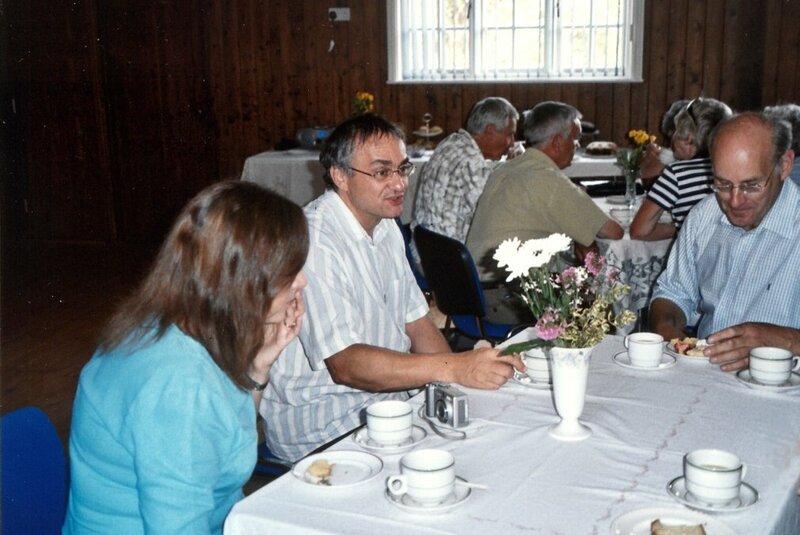 Judith Frenchman and Barry Frenchman (leader of the Parish Council) are with Adrian Baker (chairman of the Village Hall committee). 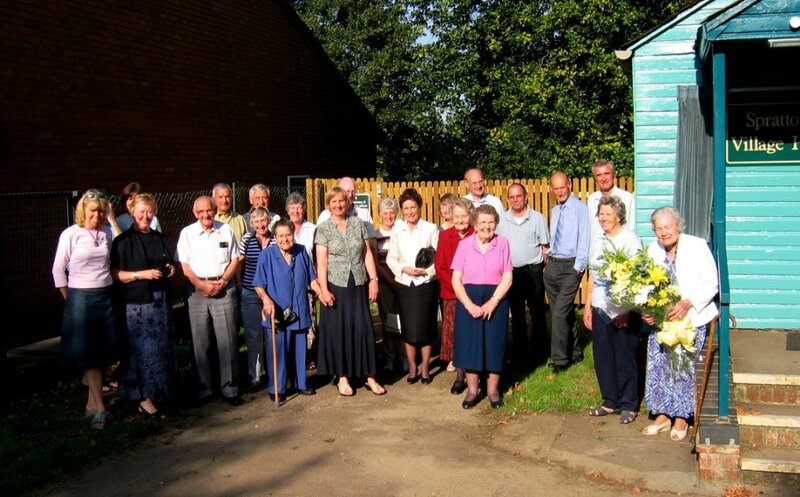 From left are: Mr Rogers, Tom Smith, Pam Rogers, Zsolt Benedek, Joan Shaw, Chris Frerk hidden behind Norma Pearson, Ruth Jones (treasurer of the Village Hall), Diana Wright, Adrian Baker (chairman of the Village Hall committee), Molly Jackson, Gwen Morgan, Mark Fletcher, Kathleen Saul, John Hunt, Mick Wright, Evelyn Manning, Sheila Bradshaw. 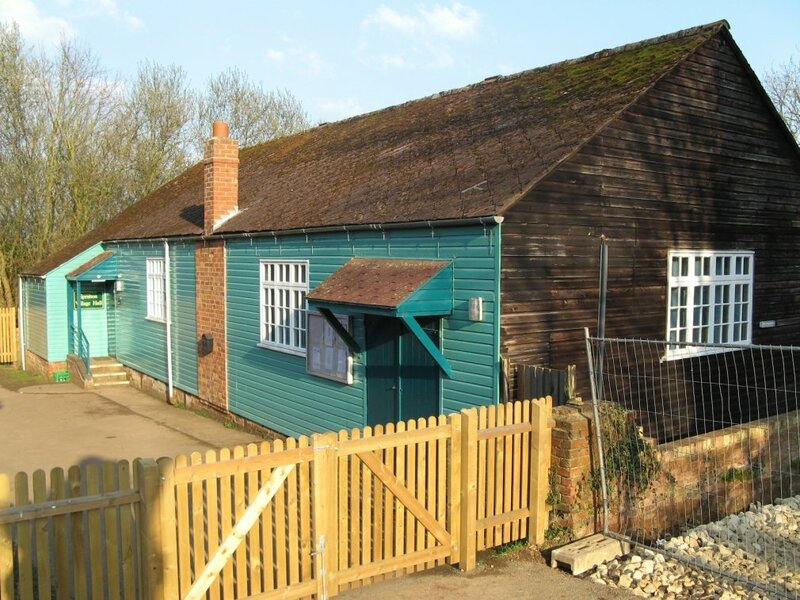 Sheila Bradshaw about to open Spratton Village Hall with Adrian Baker (chairman of the Village Hall committee) looking on. 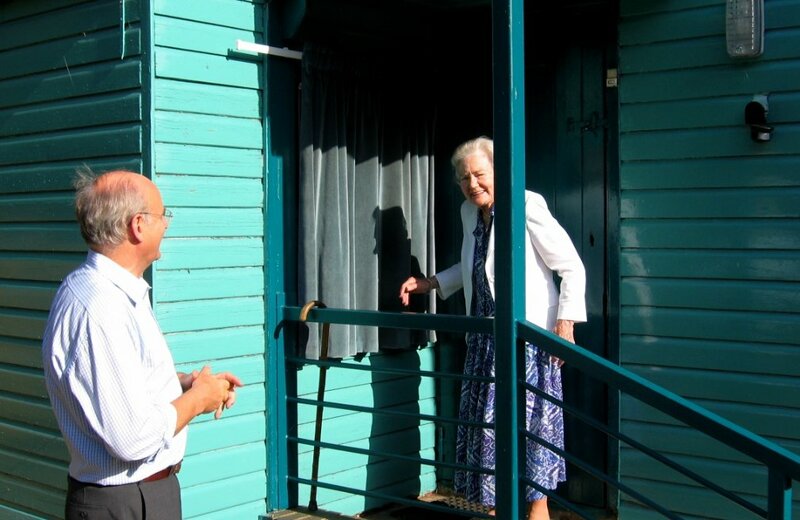 Sheila Bradshaw formally opened Spratton Village Hall with Adrian Baker (chairman of the Village Hall committee) looking on. 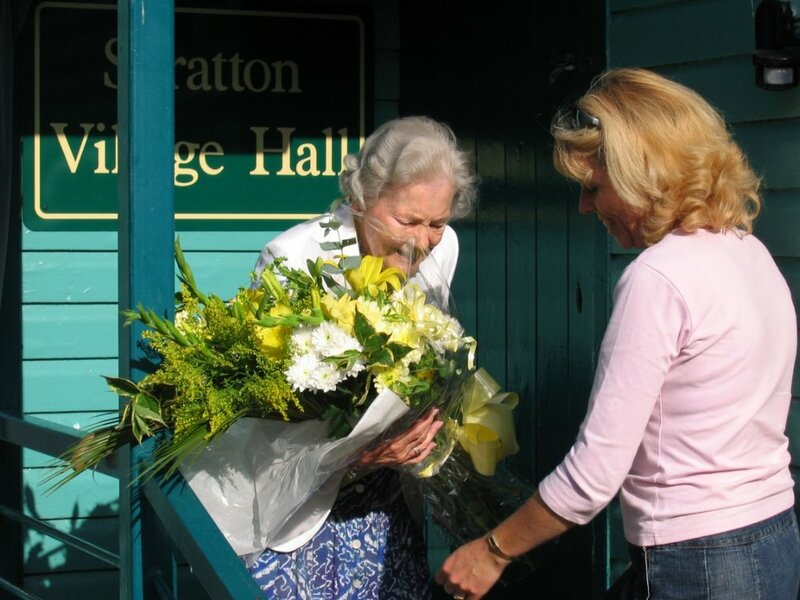 After Sheila Bradshaw formally opened Spratton Village Hall, Tracey Coldwell presented her with a bouquet of flowers. 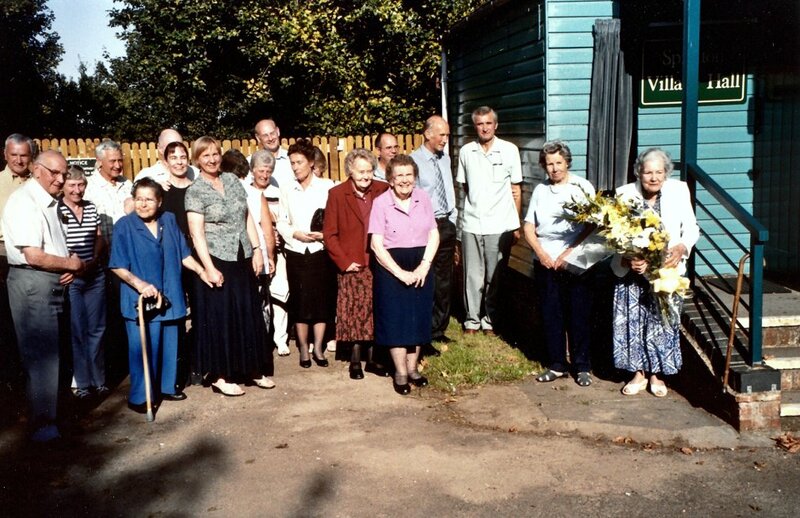 From left are: Tracey Coldwell, Enid Jarvis, Tom Smith, Mr. Rogers, Pam Rogers in front of Zsolt Benedek, Joan Shaw, Valerie Benedek, Ruth Jones (treasurer of the Village Hall) in front of Chris Frerk, Diana Wright, Molly Jackson, ? part hidden by Gwen Morgan, Adrian Baker (chairman of the Village Hall committee) behind Kathleen Saul, Mark Fletcher, John Hunt, Mick Wright, Evelyn Manning, Sheila Bradshaw.